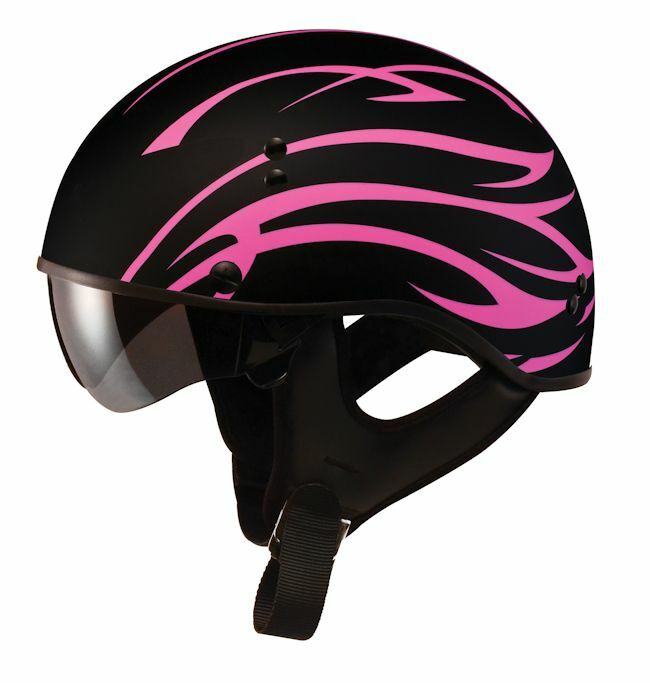 The GM65 half helmet is full of features that includes a quick-change, retractable sun shield system. 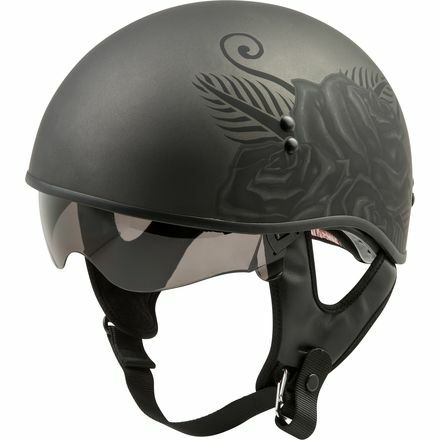 Dual-density styro technology that allows for a lightweight small shell design that sits down on your head. 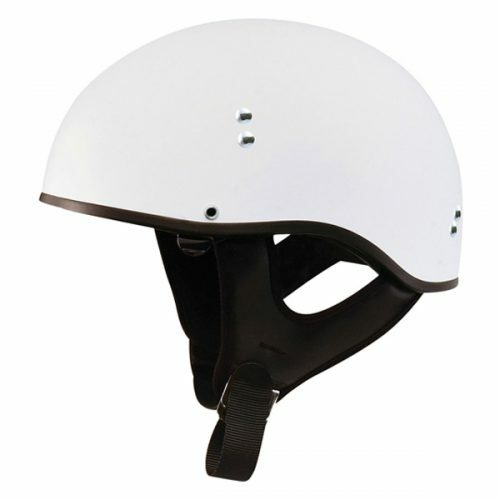 Sun shields are UV400 for 100% UV protection. 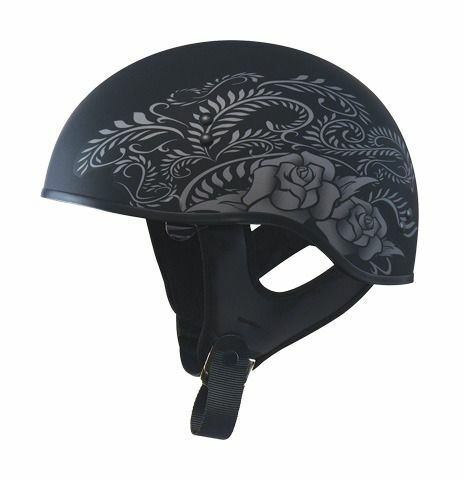 Tinted and clear shields come with each helmet. Retractable, hard coated UV400 sun shields that are designed for a quick and tool-less removal and replacement. Simple no springs design for raising and lowering the sun shield. Each helmet comes with a factory installed tinted UV400 sun shield and an additional UV400 clear shield in the box. 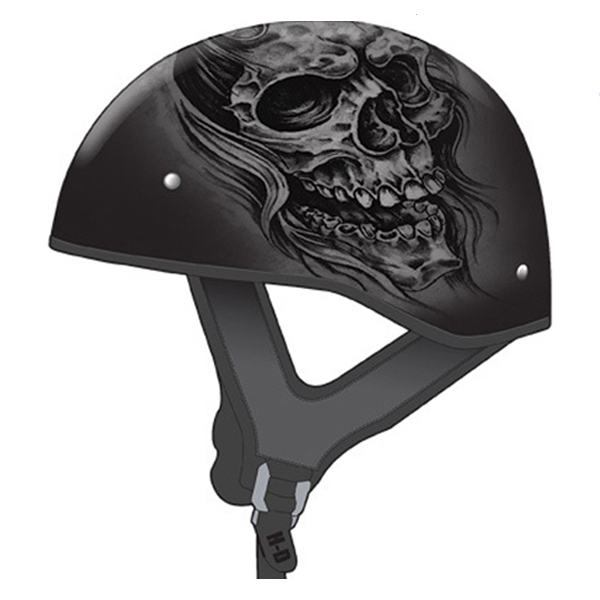 “Dual-density styro technology” allows for a low profile and a premium look and fit, while still delivering a D.O.T. 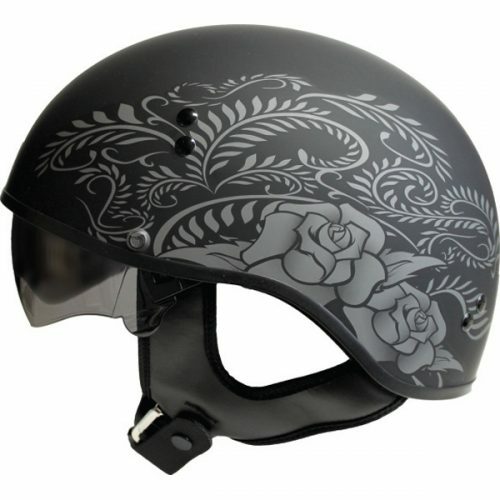 certified helmet. 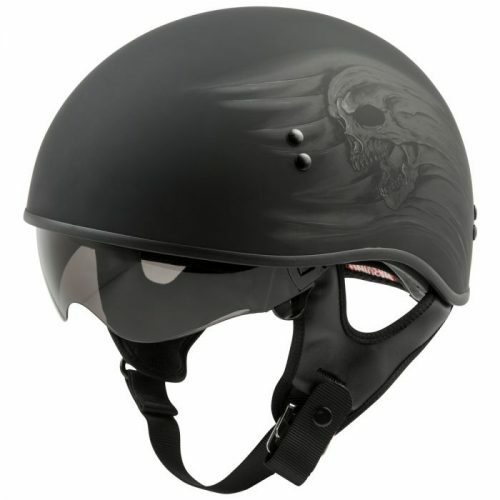 The Full Dressed comes with a sleek visor/peak design that maintains the stylish “cruiser” look of the helmet, yet offers additional sun glare reduction. 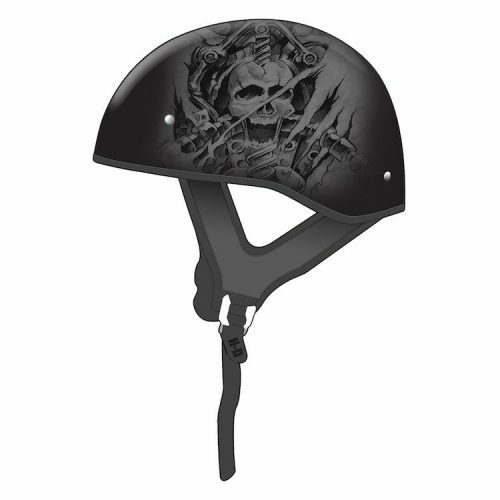 Removable, snap in rear neck curtain for cool weather riding installs and removes quick and easy, due to its tool-less design. Optional high definition, amber sun shield available. Premium venting reduces heat at the top of the head. Comfort liner, shell and styro designed for maximum venting. Removable and washable comfort liner made with Coolmax® moisture wicking performance materials. 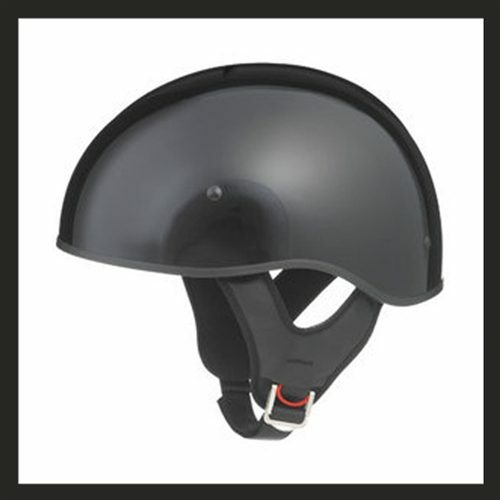 Padded chin strap with proven double “D” helmet retention system.